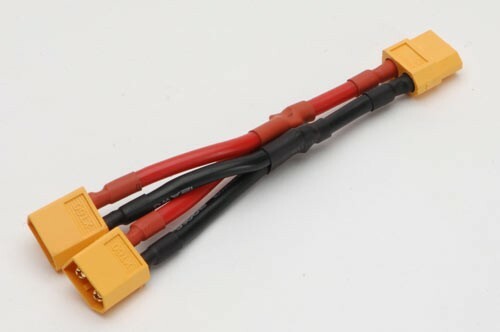 This XT90 Y Cable is the best way of connecting two batteries together for your ArduCopter or any other RC airframe or plane where you need to combine two batteries for more power. The XT90 Y Cable has 2 x XT90 Male, 1 x XT90 Female connector and is 10cm in Length (14 AWG). If you need a Deans Y cable these can be found here.